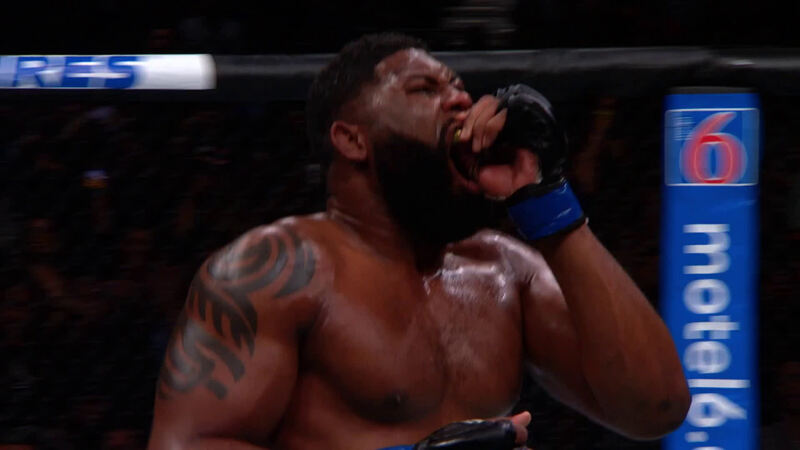 Heavyweight contender Curtis Blaydes isn't looking to waste any more time. Things don’t always go your way in mixed martial arts. Curtis Blaydes is OK with that. Viewing a loss as an opportunity to improve and mature is a mindset that he has acquired over his UFC career. And he expects to display that development on Saturday when he fights rising heavyweight Justin Willis. Check out the Top 5 finishes from the fighters on the UFC Nashville card. In order for Blaydes to execute that ground game he will need to get Willis to the canvas, something that none of his opponents have been able to do so far. Blaydes only needs two more takedowns to surpass former champion Cain Velasquez for the most takedowns by a heavyweight in UFC history and believes that he secure that record against Willis. Willis currently trains with Daniel Cormier and Velasquez at and believes that working with top tier wrestlers have prepared him for Blaydes. While it definitely can help, “Razor” doesn’t quite think it will help him as much as he hopes so. UFC: Your fight Beijing didn’t go your way, but what you were most disappointed with was that you weren’t able to showcase how you’ve improved since UFC 225. Can you talk a little bit about that? CB: It means I better not waste it this time. You don’t know how many opportunities the UFC is going to give you to be a headliner or in the co-main event. I definitely want to give the people a show and remind them that I’m supposed to be here. UFC: What are some of the main advantages that you see in this fight with Willis? CB: I think I have the advantage in all of the boxes. Athleticism, length, endurance and chin. I’ve been hit by obviously Ngannou, it wasn’t a chin shot in the last fight though it was a back of the head shot. But I’ve eaten his on the chin. I actually ate one of Mark Hunt’s right down the pipe whereas Justin Willis kind of jabbed and ran. He hasn’t had his jaw tested. I’ve eaten knees from Alistair (Overeem), probably the strongest knees on this Earth. So I believe in my jaw. UFC: What’s it been like to study Justin Willis? CB: There’s not much to study. He’s your classic southpaw, doesn’t have the best footwork and he kind of plods. There’s nothing really special about him, I’m not going to say he’s average because he’s in the UFC so every heavyweight in the UFC is special, but amongst the UFC heavyweights he isn’t special. UFC: Willis is on a nice little winning streak. What would a win over a guy like that say about where you are at in your UFC career? CB: It would mean that I have finally transitioned from prospect into contender, even after the last fight I don’t think UFC is going to hold that against me because Ngannou has been dropping everybody. I think they see me as a legitimate contender and I’m going to try to get a bounce back win. UFC: What are the keys to getting that bounce back victory? CB: I think the keys to my victory will be constant pressure like I don’t want to give him any chance to relax and pressure me. That’s when I think he is at his best, when he is walking forward. Another key is that he is a southpaw and I’m orthodox so I have to keep on fighting on the outside foot and keeping that leverage, that angle. I have to constantly be doing it. I don’t want to get caught square, that’s when he lands that heavy left. Third thing is to believe in my conditioning. I can redline for way longer than he can. I train and I live at 5,800 ft above elevation, I don’t know what the elevation is here but it isn’t that. I’m going to believe in my conditioning.